Beth’s interest in extreme and remote environments has led her to work as part of medical and logistical support teams for ski mountaineering expeditions and endurance races from Greenland to the North Pole. She also overwintered as research MD for the European Space Agency at spaceflight analogue Concordia ‘White Mars’. 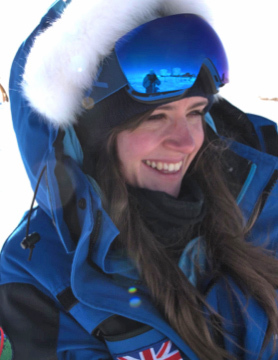 Now based in Chamonix, France, she is working as an emergency medicine doctor at Centre Hospitalier Alps Leman, where she is also enjoying taking time to brush up her ski mountaineering.